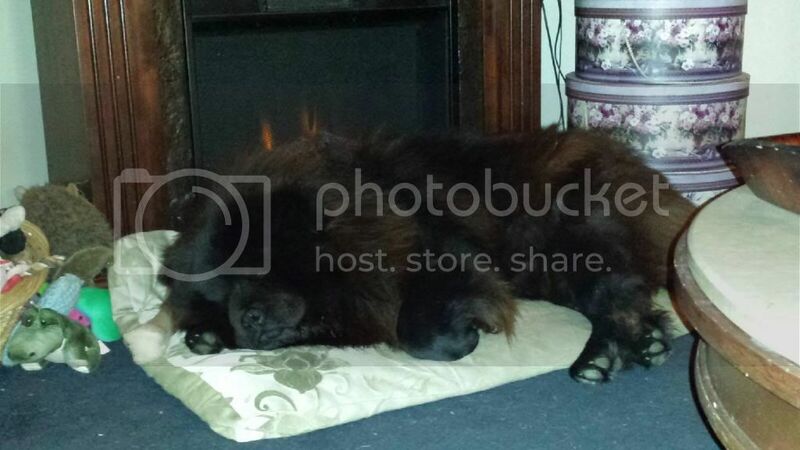 I have a male Chow Chow that has just turned 2 years old. Every time we go on a walk and meet other dogs, he gets attacked by them! The other dog seems to have a strong instinct to approach my dog and attempt to bite him. Sadly there has been a couple of really vicious occasions, which means it's becoming increasingly difficult to walk him on my own out of fear that it will happen again! My Chow Chow doesn't bother other dogs in the slightest and is very friendly with both people and animals so I cannot understand why he is so disliked by other dogs. Can someone relate to this at all?! I don't have any experience about this before! But why don't you change the location on your walk to keep unharm your dog. Yep..so true.Because they were original dogs,well,closer than others,they have that `predator` scent and other dogs attack out of fear. 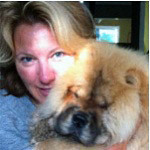 As you may know,chows get blamed many times when there is a fight;unfairly,but because some uninformed people think they are ` vicious`,they get blamed.I wear a body cam..sounds extreme..when I am walking my dogs, but I am not having my chow punished for another dogs ..umm ,well,actions. And there are many dogs with a `packed tail`,so I dont know if that is part of it or not. That's strange. No dog has every really challenged much less attacked our chows. However this is not as much a dog issue as an owner issue. Report those people to your local by-law, they would screw you over in a heartbeat. Cassie is also being attacked randomly when I walk her, soo I always bring a stick with me for any unwanted attention. I dont walk her much. she is free to roam our fenced home. No matter the reason, I would do whatever is necessary to keep my dogs safe. Including kicking another dog that got too close. Some use pepper spray, but I don't want to take a chance of some getting in my dogs face. I am lucky that most other people cross the street with their dog when they see us coming. I've experienced the same issue with Charlie. A lot of dogs lunge at him, start barking furiously. Charlie tugs on his leash furiously barking back, but he never initiates it. This happens frequently. Except for 10-year old little Momo. They seem quite fond of each other. There's a lot of dog owners in my village and general area, so I just can't avoid them entirely, at least leaving the house and village. 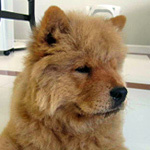 I read a while ago that chow chows smell different - not like the ordinary smell and other dogs dont like it so they are aggresive or ignore chows. I have been told that castrating him may help the issues as other dogs wouldn't find my Chow so dominant. Has this worked for anyone else? I feel bad that I cannot let my Chow off his lead for a run around in fear of him getting attacked. I try to take him very early in the morning to avoid other walkers and l always have a fenced garden for him to roam around in all day. Poor pup He loves other dogs! Chows walk with a confidence and attitude that confuses other breeds. Not really sure about the smell, but I do know they don't get that 'wet dog' smell, so there may be something to that. I don't really think that fixing a dog will change it. So, if your dog is breeding quality, I wouldn't consider it. If he isn't, then there are a ton of other reasons to have him altered. From my experiences, I always find that its bigger dogs that have an issue with my Chow. A while back two French Poodles approached him despite their owners command not to. They ganged up on him from both angles and tried to bite, but thankfully I had my father with me to hold them back from him, which resulted in him getting bitten instead. The owner apologised profusely and explained that they have never had an issue with any other dog before, which I've heard on a majority of occasions. I find it scary to walk my Chow in any area's where other dogs are running free off their leads, because i don't get a chance to explain that the most friendly dog's still take a strong dislike to mine before a dog has run over and attacked. My chow is very friendly with all other dogs, but is understandably losing his patience. I am unsure about getting him fixed as he is terrified of the vets following a previous painful accident. I don't want to put him off the vets for life as I like to have regular health checks for him. The vet has advised me that his fixing op may make his visits to the vet worse as he will need one stingy anaesthetic injection instead of the more gentle two because he's already aggressive towards the vets. Im not sure what to do for the best! LOL, probably not a big help, but as a Chow owner I have a strong dislike for French Poodles anyway. Just plain nasty dogs....LOL. And people complain that Chows don't listen. They should try a poodle. Absolutely obnoxious dogs with a bad attitude. I really don't think having him altered is the answer to this issue. It may be advisable for other reasons, but it wont change his interactions with aggressive dogs. If he is well socialized, and it sounds like he is trying, he may just need more confidence. I would start off by not allowing him off lead even if the other dogs are. He can get a lot of assurance from you. Let him see that you are protecting him. That is part of the pack leadership strategy. While on lead, direct him toward smaller breeds. Let him meet and greet without any tension. Try to find other dog walkers that are nearby and strike up a conversation. Be relaxed and explain prior problems. He will sense the atmosphere and relax too. Not sure where you are located, but try to find a dog show. All the dogs there will be well trained and accepting. It's good practice for your Chow and will build his confidence.